Poetry is powerfully healing. So is science. What might be their relatedness? This question might call for stratified answers. The simplest of them, it seems to me, is that science is defined regions of the poetry. What might this have to do with the title of this article? I will present my Oxygen Model of Healing Benevolence first and then return to this question. Here, simply stated, this model explains the scientific basis of the common observation that every step in the healing path helps the body everywhere, albeit to varying degrees in different body organs. Also every misstep in the healing path hurts the body everywhere, albeit to varying degrees in different body organs. The Oxygen Model of Healing Benevolence is an extension of my Oxygen Model of Health and Disease. It is a unifying model that explains all aspects of healing benevolence of different elementsCassociations, mechanisms, clinical benefits, and cumulative consequences, and controlCon the basis of oxygen effects of those elements. The most important among these are enhancement and potentiation of healing benevolence of all elements that might concern any form of the dis-ease/disease/healing continuum. Specifically they concern: (1) oxygen signaling; (2) oxygen=s ATP energy generation; (3) oxygen=s detergent functions; (4) oxygen=s cellular detox functions; (5) oxygen-regulated cell membrane and matrix functions; (6) oxygen=s cellular repair roles. The Oxygen Model of Healing Benevolence provides a simple model that allows individuals and their physicians to reduce complexities of diverse clinical syndromes into a workable simplicity. L Reveals the mechanisms by which various bowel-blood-liver detox therapies work (oxygen is the primal detergent which removes cellular grease and allows cells to breathe freely). 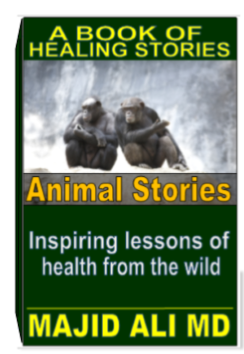 L Provides explanations of mechanisms by which time-honored natural remedies work. So how might poetry, science, and oxygen be integrated in the story of healing? May I ask you, the reader, to reflect on the question in light of the above. I would love to hear from you. Send me a note at aliacademy7@yahoo.com.